The Royal Household is working hard across operations in the Royal Palaces and Estates to reduce its impact on the environment, using everything from energy efficient LED (light-emitting diode) lighting to hydro-electricity generating plants to ensure efficient running of its sites. Staff from across the Royal Household work closely to reduce the energy used to heat, light and cool our buildings. Energy consumption is monitored through a network of over 60 smart meters installed across the estate, enabling areas for improvement to be identified and targeted, in collaboration with employees and contractors across the organisation. A network of Green Champions, working together since 2006-07, continues to develop and implement projects to reduce energy consumption and wider environmental impact within the Royal Household. A computerised Building Management System controls the heating, cooling and hot water supplied to our buildings. At Buckingham Palace, heating and hot water is produced by the Combined Heat and Power plant and boilers, with flat plate heat exchangers increasing the efficiency of heat transfer. Energy efficient LED (light-emitting diode) lighting is being trialled across the estate. These lamps use up to 86% less electricity and have a longer life than traditional fittings, reducing energy and maintenance costs. They also produce less heat than tungsten halogen fittings, helping to maintain a comfortable environment for The Queen and The Royal Family, guests, residents, staff and the works of art in the Royal Collection. Combined Heat and Power has been in use at Buckingham Palace and Windsor Castle since 1994-95. These units convert natural gas into electricity, with the heat produced by this process being used to provide heating and hot water. As a result, Combined Heat and Power reduces the Royal Household's greenhouse gas emissions, energy costs and reliance on the National Grid. 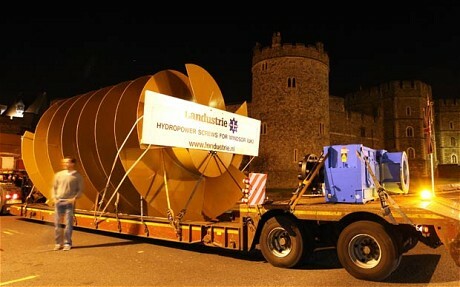 Electricity is also produced for use at Windsor Castle by a hydroelectric power scheme on the River Thames at Romney Weir. Two turbines generate electricity by harnessing the power of moving water, providing renewable energy and meeting 40% of the Castle's electricity requirements. Environmentally friendly initiatives are not limited to inside spaces. Some of the 'greenest' places in The Queen's residences are, not surprisingly, The Queen's gardens. The Gardens Team work to ensure that the gardens at The Queen's residences look their best, whilst encouraging wildlife and plant life to thrive. Large pieces of wood are stacked in piles in the Palace grounds. These piles provide habitats for a variety of flora and fauna, including beetles, spiders and fungi. Tree stumps are not removed, but are left to rot away naturally, providing a perfect environment for insects to lay their eggs and hatch their larvae in. Dead trees are also left alone, with one such tree at the bottom of the Rose Garden currently providing a habitat for a family of Woodpeckers. The use of pesticides is kept to a minimum. A weed burning machine is used on the paths of the Buckingham Palace grounds, which breaks up the cells of living plants so that they explode through heat. This means that there is no need for chemicals which could potentially be harmful to wildlife. Recent surveys have shown that five damsel and seven dragonfly species live in or near the lake, and 42 species of birds have been seen in the garden. The highlights of the sightings were of Kingfisher, Woodcock, Chiffchaff and Redwing. Since 2009 the garden has supported four successful bee hives <insert link to Bees page> positioned on the island, surrounded in the summer by wildflowers. Sustainable plant life is encouraged, with a long grass policy currently in use over approximately 10% of the Buckingham Palace garden area. Around 320 different types of wildflowers grow in these areas, such as Creeping Buttercup and Herb Robert, and are allowed to go through an entire yearly cycle of growth (including seed spreading), before the grasses are cut at the end of August. This means that wildflowers are allowed to reproduce and sustain themselves without interference. In addition, an 800 metre stretch of ground around the edge of the lake is cut on a rotational basis every four years, again, allowing flora and fauna to prosper uninterrupted. As well as sustaining existing flora and fauna, new wildlife and plant life is also encouraged. Over the last ten years, many more seed bearing and native plants have been introduced into the garden, such as Cotoneaster, Rowans, Aspen and female Black Poplar. These encourage a wealth of bird life to come into the Palace grounds to feed during the winter months. In spring 2009 two Italian honey bee (Apis mellifera ligustica) hives were introduced to the garden at Buckingham Palace. The hives are positioned on an island which is in the middle of the garden’s 3.5 acre lake. The island accounts for a part of the 5 acres of uncultivated areas in the garden and it is covered in wildflowers, grasses and decomposing logs. It is an excellent location for the bees as they have immediate access to over 350 varieties of wildflowers and 600 plants to harvest from both on the island and the main garden. Due to the hives’ secluded position, the bees’ island home is undisturbed by visitors to the garden as it is not accessible to the public during Garden Parties and Garden Tours. 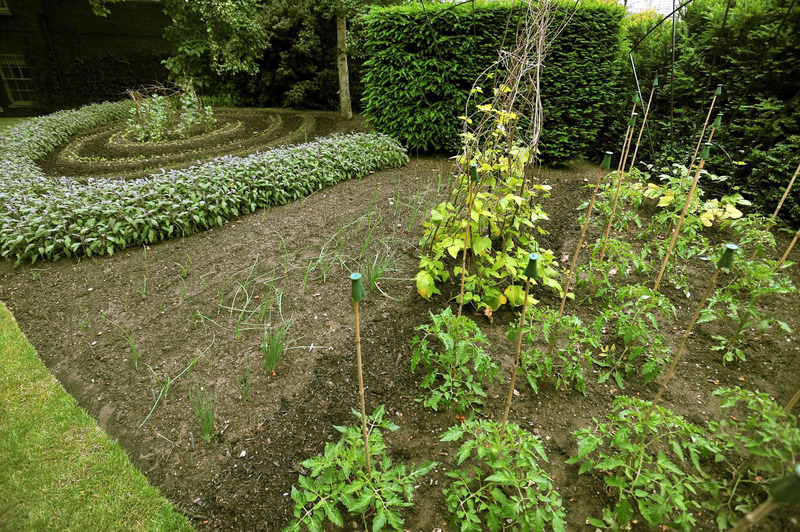 Even the Royal Gardeners have few reasons to visit the island as there is no formal bedding to tend and the maintenance of the area is minimal. The bee hives are looked after by a bee keeper from the London Beekeepers Association and a specially trained Royal Gardener. After the first year in the Palace garden the two hives produced 83 jars of honey. In spring 2010, two more hives were added to the island. 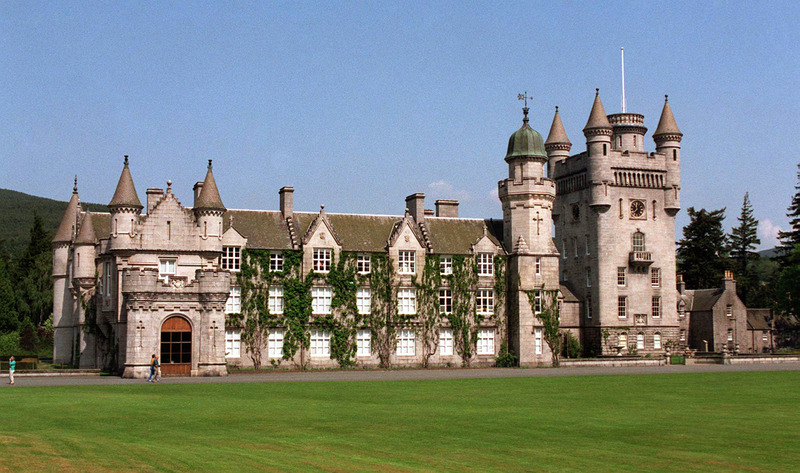 The Balmoral and Sandringham Estates are The Queen’s private estates. The Duke of Edinburgh took on overall responsibility for their management at the start of Her Majesty's reign in 1952. One of His Royal Highness's principles has been to maintain the estate for future generations, so conservation has always been an important part of the Estates’ management practices. Policies are in place in Balmoral and Sandringham to ensure that the land is farmed sympathetically and that wildlife is encouraged to flourish. All Balmoral woodlands are certified by the Forest Stewardship Council, which supports sustainable forestry worldwide. Farming practices are registered with the Soil Association, which promotes organic food and farming. Balmoral staff ensure that the vast amount of organic waste which the estate generates is recycled, with 50 tonnes of it being turned into compost each year. Sandringham, meanwhile, produces organic vegetables and fruit on some of its arable farmland and meadows. Its apples are turned into juice which uses only vitamin C as a preservative, avoiding all unnatural colourings and preservatives. Wildlife conservation and responsible farming are seen as an integral part of life on the estate. The Royal Household is working to reduce waste, and reuse and recycle as many materials as possible. This includes the reuse and recycling of computer equipment by Computer Aid International. Rather than going to waste, old computer equipment is re-used or recycled to help schools and community organisations in the developing world. After the hard drives have been removed from the computers and destroyed, the constituent raw materials, such as aluminium and steel, are recycled. The remaining parts of the computer are donated to Computer Aid International for refurbishment and upgrade. These are then sent to schools and community organisations in Kenya, Mali, Ethiopia, Rwanda, parts of Asia and South America. Computer equipment from Buckingham Palace has ended up in a school in Rwanda, a university in Kenya and a charity in India! The partnership between the Royal Household and Computer Aid International has existed since 2005. Since then, the Household has donated over 2,300 pieces of computer equipment, including monitors, computers and laptops. In 2014, Computer Aid International became the first charity in the world to receive a Royal Warrant from The Queen for their work with the Royal Household. Over five thousand trees and several miles of hedges are planted each year and ten wetland areas have been created on the Norfolk estate. Recycling of food waste, glass, metals, plastic, cardboard and paper takes place across the estate.